There’s a line in Steve Jobs where Apple co-founder Steve Wozniak says to him, “You can be decent and gifted at the same time” referring to Job’s choice to completely disregard anyone and everyone in pursuit of Apple’s success. 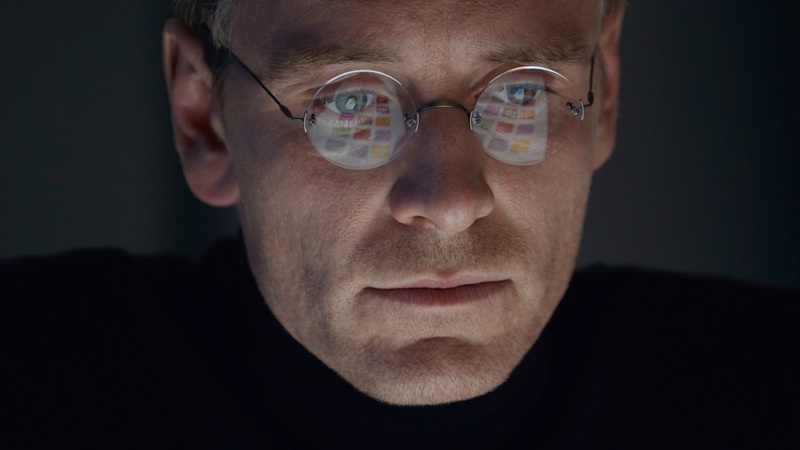 Portrayed as a megalomaniac, obsessive control freak bent on the success of his and Wozniak’s Apple computer, Steve Jobs the film, is a fascinating character study, played with precision and intensity in a career best performance by Michael Fassbender. Here is not a likeable hero of our time and director Danny Boyle concerns himself with the machinations of his mind, providing an insight into the operating system of the self-confessed “poorly made” man. Playing out over three acts, the film gives the audience three snapshots of time in Jobs’ life. The first in 1984 and the launch of the Mackintosh, the second in 1988 as Jobs launches his own NeXT computer and finally 1998 and the massive launch of the iMac. Each segment is treated differently by Boyle, the first shot in grainy 16mm, the second in 35mm and the last shot on digital cameras, giving each act its own unique look and feel. As Steve Wozniak (played brilliantly here by Seth Rogan) points out Jobs “can’t write code, he’s not an engineer” and this struggle between the two men at each interval is fascinating to watch. Jobs in the conductor of a massive orchestra with no musical talent himself and as Wozniak likens himself to Ringo, Steve will always be John Lennon whether he likes it or not. Jobs’ obsession with their invention and his paranoia (“I’m like Julius Caesar surrounded by enemies”) is caustic to his relationships both professional and personal. We see him in the beginning, refusing to believe even five years on and a DNA test later, that his daughter Lisa is actually his, always holding her and her mother Chrisann Brennan (a great Katherine Waterson) at arm’s length. He is loath to acknowledge them, obsessing instead that Apple's Andy Herzfeld (an excellent Michael Stuhlbarg) make the Mac say hello to the packed auditorium awaiting its unveiling. Faced with financial disappointments, Jobs has a rocky relationship with Apple CEO John Sculley (a never better Jeff Daniels) whose father-son like relationship is usurped by Job’s inflated ego. The only person to stand by Jobs is his "work wife" Joanna Hoffman (Kate Winslet), she being the only person whose advice he listens to. Winslet is terrific as the Polish woman behind the scenes, if her accent seems more pronounced in act two, but that’s a minor quibble in what is another fine performance from her, providing the glue that binds the whole film together as she tries to elicit the humanity out of his self-created monster. Aaron Sorkin’s screenplay here is flawless. There is not a single wasted word, the dialogue razor-wire sharp and speared with so many great lines. As Woz says to Jobs at their first launch “we’ll know soon enough if you’re Leonardo Di Vinci or just think you are”. As Jobs, Michael Fassbender is magnetic and charismatic and his perfection in playing such a flawed character marks a career best and is sure to signal an Oscar nomination. In a great opening credits sequence showing a 1974 interview with Arthur C Clarke, he forecasts how we will all have a computer one day and what they will be able to do for us. As Jobs himself says at one point “the right computer will be a bicycle for the mind”. Steve Jobs is a superbly crafted, beautifully shot, expertly written and brilliantly played story that anyone with a computer needs to see. I guess that’s all of us then.